For this project, we supplied three evaporators to be installed in as many freezing tunnels, a monoflow unit for a low temperature storage cell and condensers to be used with the individual refrigerator control units serving the four utilities. 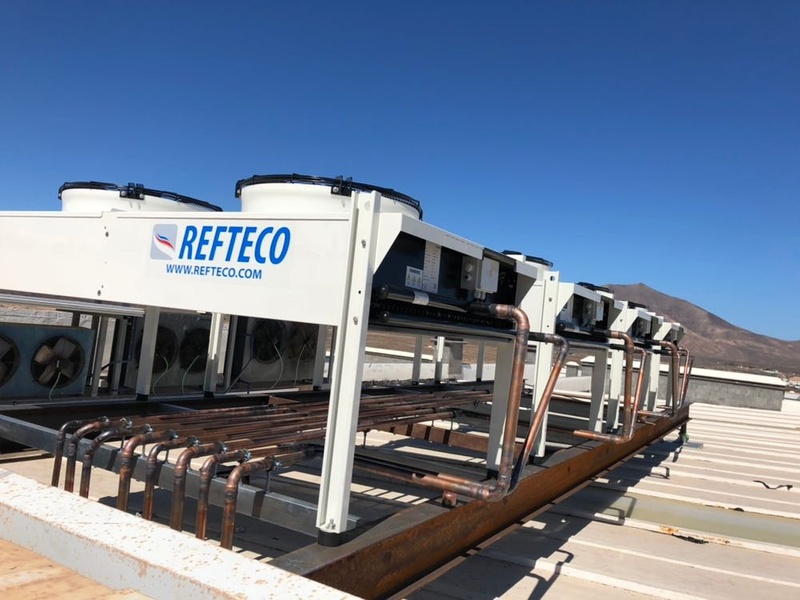 The condensers were installed on the roof of the plant and have a cataphoresis-treated battery to guarantee high resistance to the type of corrosion typical of the marine atmosphere. Since the machines were remote with respect to the compression units, they were supplied, at the customer’s request, with the fans already wired so as to reduce the installation time.